The ultimate event of the last preliminary round of the World Series of Poker 2011 (WSOP) held at Rio Casino in Las Vegas was interesting. Indeed, it took several extra hours to find the penultimate WSOP bracelet winner of this year. Previously, 12 hours were also required to designate the two last survivors of the 25 best players in a field of 352 participants during this pot-limit Omaha Hi-low Split-8 or Better tournament of $ 5,000 in buy- in. Moreover, the final table received nine players who competed and were paid according to their order of merit. Thus, besides the elimination of the seven players who reached the final stage of the competition in the Event # 57, the game was stopped after 12 hours. The final head's-up of the last two remaining players, David Bach and Nick Binger, was then played on the night of Friday, July 8. 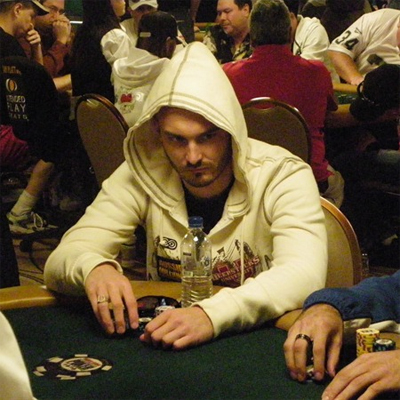 At the end of a very long duel between the two players, the victory choose its side in the person of the American Nick Binger who, not only got the first gold bracelet of his career, in a major poker tournament, but pocketed the $ 397,073 gain of an event with a prize pool of $ 1,654,400. So, Nick Binger closes the series of players winning the gold bracelet in this year 2011. All that remains is waiting for the name of the person who will be the new champion of the WSOP 2011 Main Event which began on Thursday July 7.